The recent drought has proven its tole on the farmers, and we can appreciated the pressure that it has put on farming families. 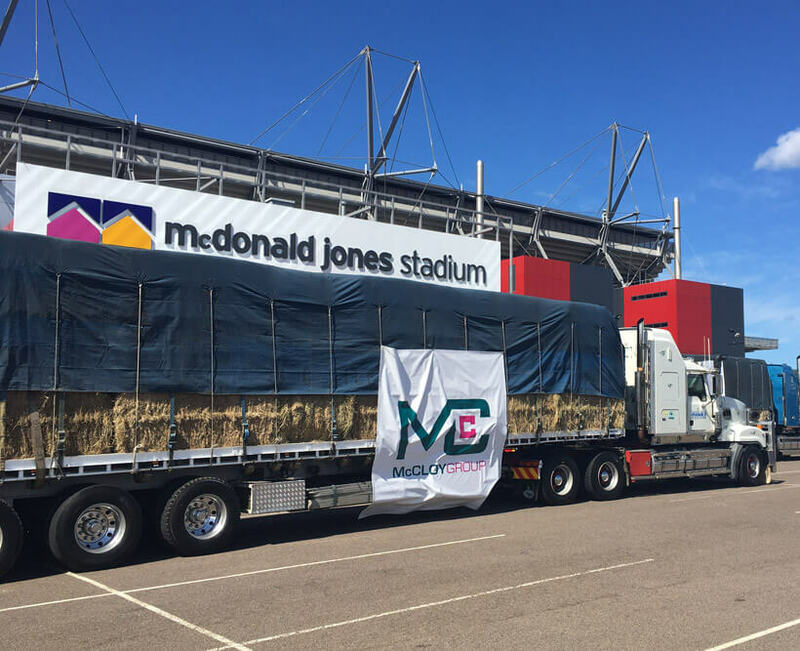 At McCloy Group we believe it’s important to support the community that has supported us, which is why we joined forced with McDonald Jones Homes and Wests Group to send a total of nine semi-trailers of hay to support drought affected areas. McCloy Group has nominated their three 44ft semi-trailers to be destined for Tamworth for distribution in the area by Rural Aid. The trucks left from McDonald Jones Stadium during Saturday’s Old Boys Day, with match attendees given the opportunity to lend their support to help drought affected areas.